There are nine golf courses in Sun City West. Pebblebrook, Grandview, Deer Valley and Trail Ridge are championship courses. Stardust, Echo Mesa and Desert Trails are executive-length courses. Hillcrest Golf Club is owned by John Jacobs School of Golf and is open to all residents and the public. 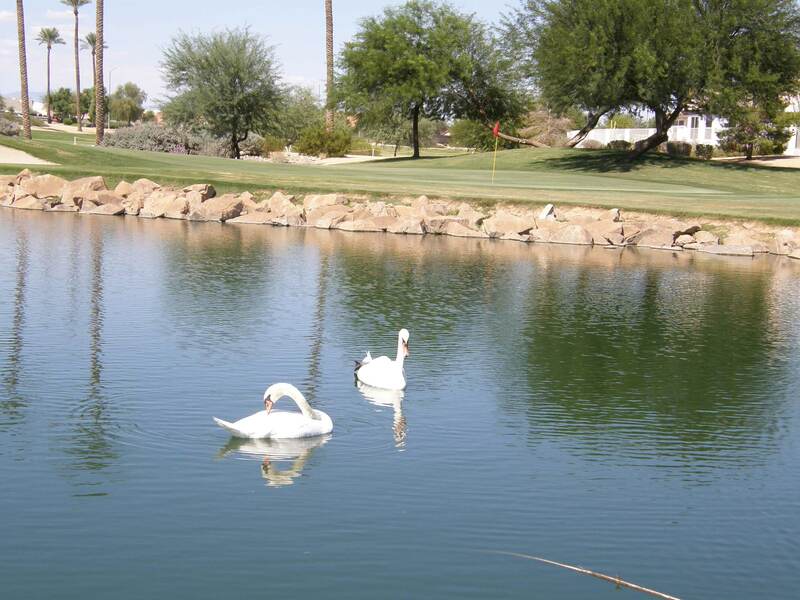 Briarwood Golf Course and Country Club is Sun City West’s only country club. It features golf, swimming and tennis. The Sun City West Posse is a volunteer organization with approximately 200 members. While the primary function of the Posse is crime prevention, members are trained in several different programs that benefit the community. Sun City West Posse members respond to fire, medical, and accident calls. They perform home security patrols, neighborhood watch programs, and vacation inspection services. The Posse is funded by contributions from the homeowners and Sun City West businesses. Are you looking for Sun City West home for sale? I've created these Sun City West real estate searches for your ease of use. Are you thinking of selling your Sun City West home? If you are considering selling your home in Sun City West, call me. As a Realtor® specializing in Arizona Retirement Communities, I am able to assist you with the sale of your home in Sun City West. Complete a home value request form to obtain your free market analysis. My website contains homes sold in Sun City West over a period of time allowing you as the seller to determine the pulse of the Sun City West real estate market. I am a Sun City West homeowner with extensive experience in the real estate market in Sun City West golf retirement community. Emaill me at realtor@leolinda.com if you would like a customized real estate search of Sun City West homes for sale. Your personalized custom search will update simultaneously as MLS is updated.